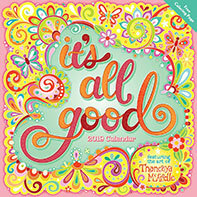 More Good Vibes Coloring Book by Thaneeya McArdle features 32 whimsically illustrated coloring pages of positive phrases and uplifting sayings. 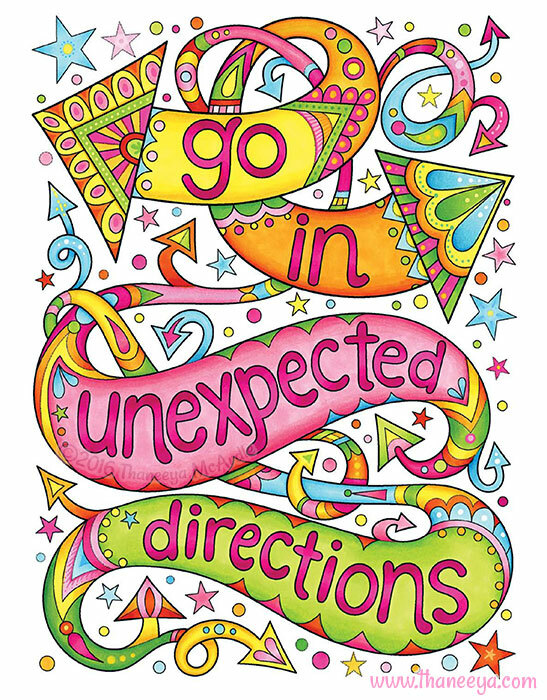 My More Good Vibes Coloring Book features 32 illustrations of positive, uplifting phrases for you to fill with color! 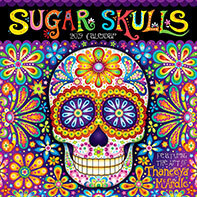 This book also contains 7 pages of coloring tutorials to demonstrate blending, shading, color theory, and more. 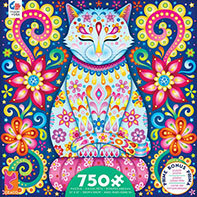 You'll also find 10 full-sized colored examples (including the cover), some featuring insets to highlight various coloring techniques. In addition to the examples below, scroll down to see a video flip-through of the entire book! 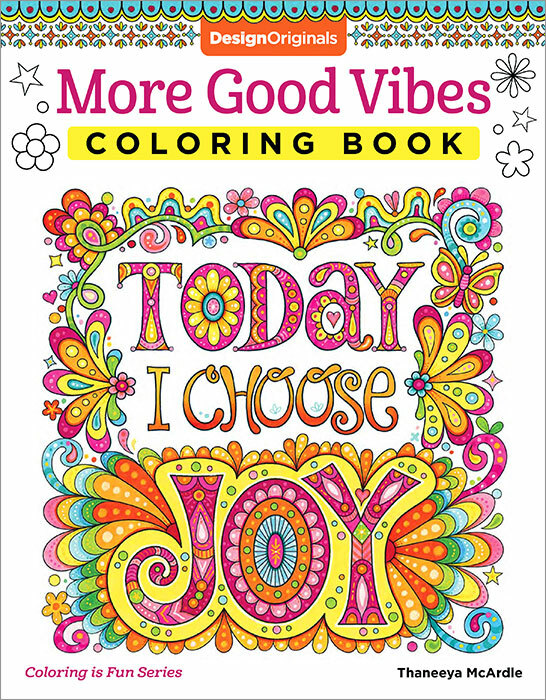 I've made the cover page, Today I Choose Joy, available as a free coloring page that you can download and print! 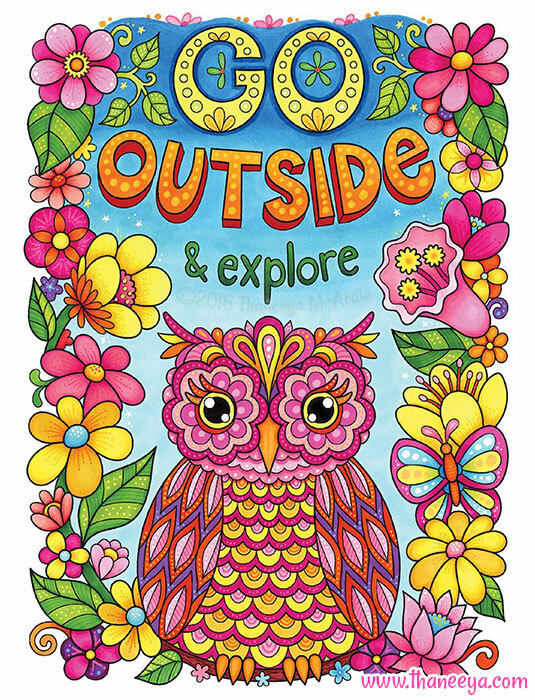 If you'd like to get some inspiration and see how other people have colored-in the art my More Good Vibes Coloring Book, check out this gallery on Facebook. 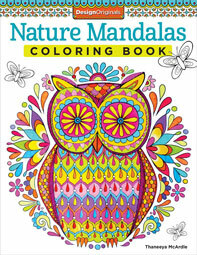 This video flip-through allows you to see every coloring page in the book before you buy! Target asked me to create a special edition of More Good Vibes that contains 8 additional coloring pages that you won't find anywhere else! Click here to see a video flip-through of the 8 extra pages. It's a limited edition, so I'm not sure how long stocks will last. Currently available online only. Here's a time-lapse of me coloring in the art that became the cover for my More Good Vibes Coloring Book. The video moves quite quickly but gives you an idea of how I approach coloring from start to finish!